While not the first thing that comes to mind, a top-notch router is essential for a tight gaming experience. So, we found the top 5 best gaming routers under $100 you would find in 2019. 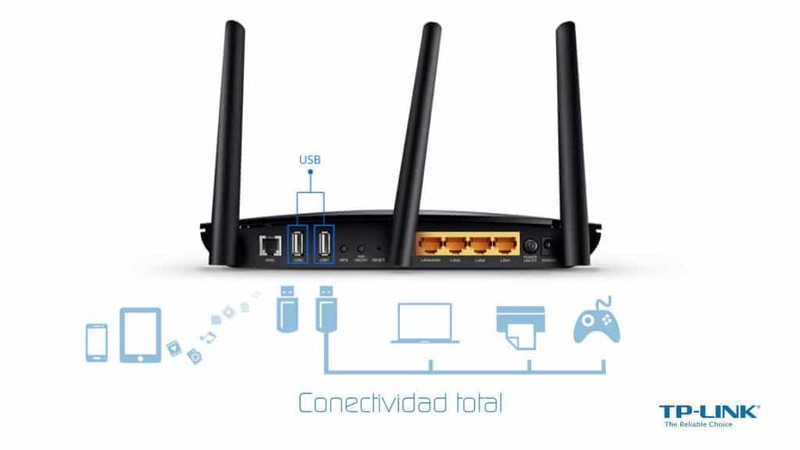 Routers typically are not classified as “gaming” grade. While certainly important, for years routers have been unattractive boxes that were intended to be hidden behind a desk and perform it’s task. However, those days are gone and with the rise of PC gaming, more companies have been paying attention to gamers’ online experience. We tracked down their efforts to find the top 5 best gaming routers under $100. 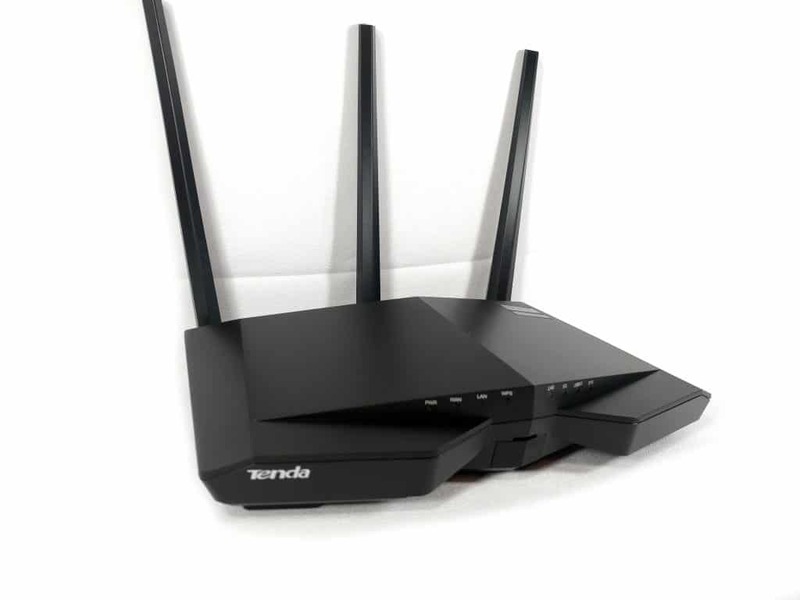 Surprisingly, a smaller branded router like Tenda won out of all the routers we checked out. The incredibly low price point, high coverage, and nearly 2 Gbps total bandwidth make this router an incredible value at the cost. However, spec to spec isn’t always the best comparison and the low cost of the TP-Link AC1200 proves to justify the loss in speed. Out of all the different manufacturers of network devices on this list, Tenda is perhaps the least known. Still, their AC18 remains the best value for a gaming router under $100, providing exceptional speed and reliability for the price. Inside, the AC18 sports a dual core processor, pushing out overall bandwidth up to 1900 Mbps. This bandwidth is split over a 5Ghz and a 2.4Ghz band, with the 5Ghz band pushing speeds of 1300 Mbps and the 2.4Ghz band pushing speeds of 600 Mbps. Where the AC18 really excels is with the inclusion of Broadcom turbo-qam technology that allows up to 600 Mbps of extra bandwidth under load. The speeds reach decently far as well with three high powered antenna reaching across a home. 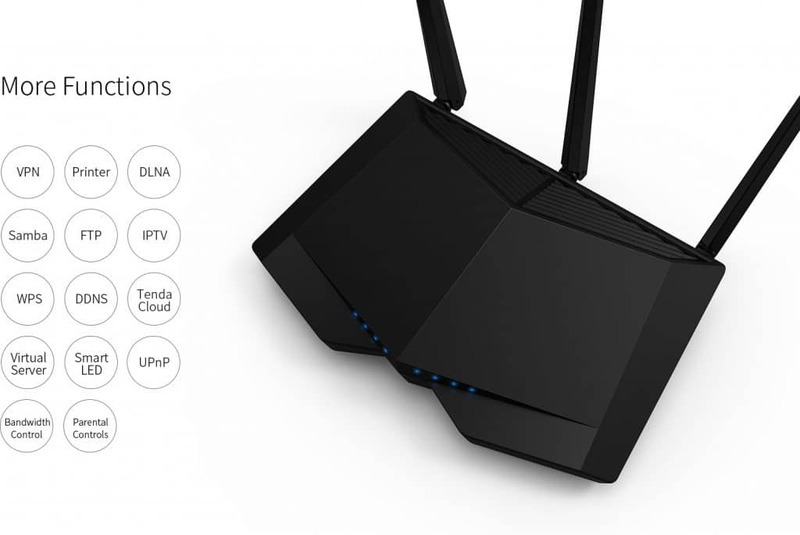 While Tenda doesn’t have a branding behind some of the other routers on this list, the specs list is impressive. The four gigabit LAN ports, 1900 Mbps total bandwidth, and coverage due to the three high powered antenna make this an excellent value for a gaming router under $100. However, routers in this price point with this kind of speed isn’t exclusive to just Tenda. Belkin throws their variant in the ring at a slightly higher cost, but matching the speed of the AC18. Speeds come out the same for the AC1900 as they do for the AC18. The dual band design sports up to 1900 Mbps overall with 1300 Mbps reserved for the 5Ghz band and 600 Mbps reserved for the 2.4Ghz band. However, the Belkin goes further than the Tenda with Intellistream QoS technology that prioritizes HD streaming and gaming over other wireless signals. This means there’s little fuss in reclaiming bandwidth when just trying to jump into a game. Unfortunately, the Belkin does fall slightly short when compared to the AC18 due to the lack of positionable antenna. 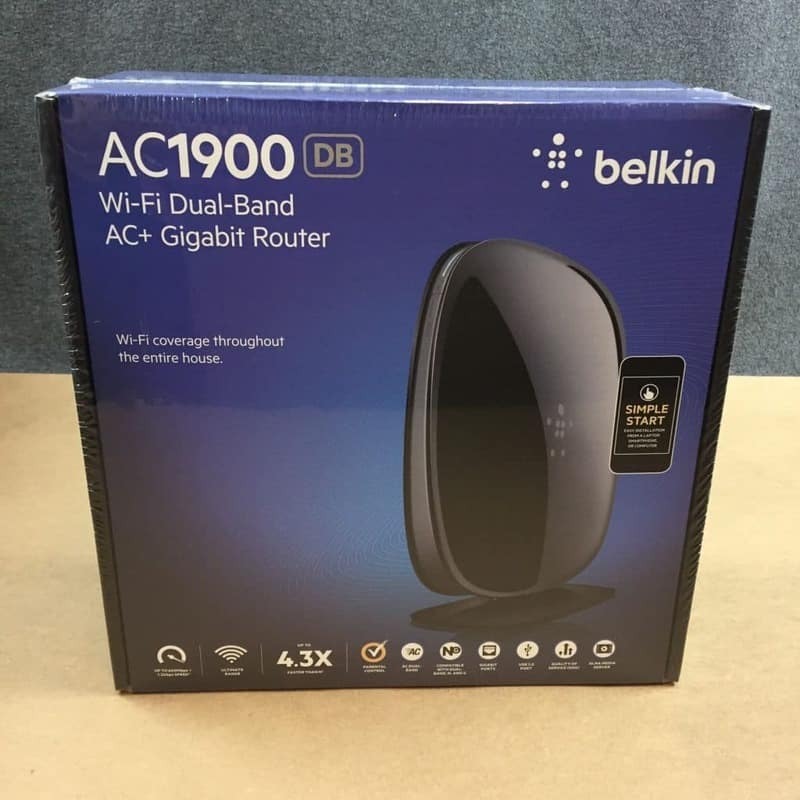 While Belkin doesn’t clearly state how many antenna are inside the box, the lack of positioning hurts the AC1900 overall, making direction much more difficult to achieve. Still, the positioning will provide little problem for the majority of people, and the AC1900 proves itself to be an excellent box at a slightly higher price. If you’re more comfortable sticking with a brand you know, the Belkin AC1900 is a solid alternative. 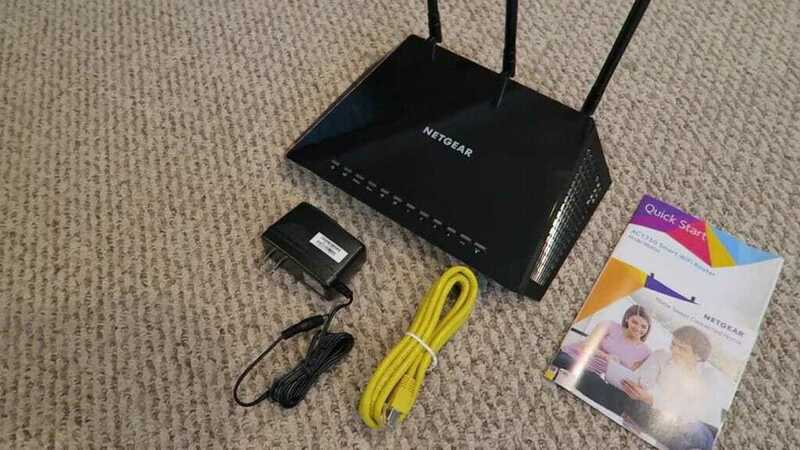 The Nighthawk AC1750 is not Netgear’s top of the line router in their Nighthawk line. In fact, it’s the lowest end model. Still, that says something when considering the price and performance of it. 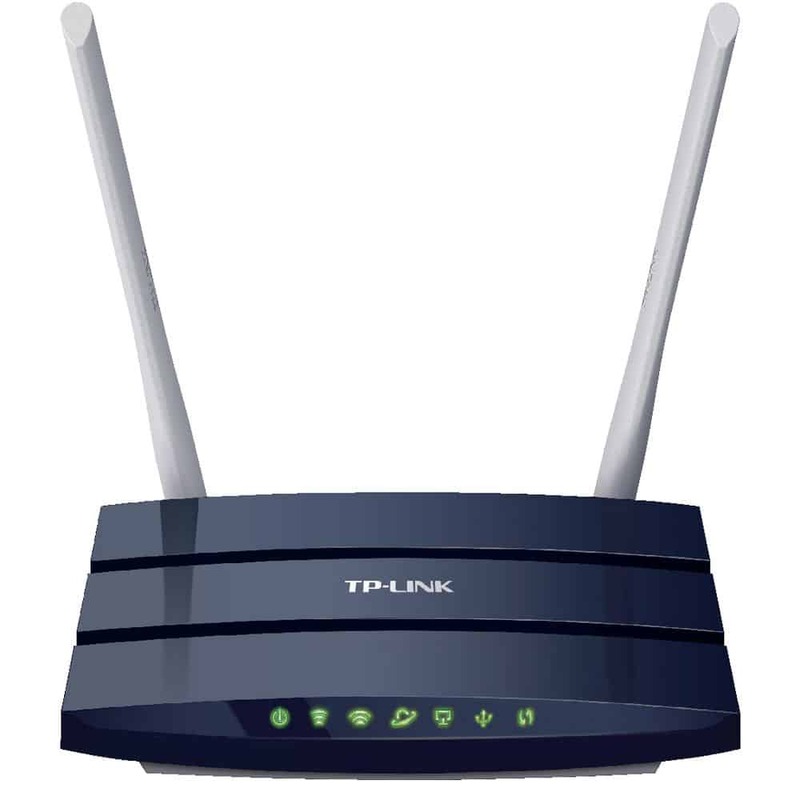 At $100, the AC1750 provides speeds of 1300 Mbps on the 5Ghz band, matching both previous routers. However, while the 5Ghz band stands up to the previous routers, the 2.4Ghz band falls significantly short. The rated speeds on this band only up to 450 Mbps is incredibly slow, especially with fiber optic internet becoming more available in homes. When considering the price, the slap in the face doesn’t burn as much. Still, I would stick with the 5Ghz band in gaming. Additionally, Netgear’s Beamforming+ technology focuses wi-fi signals to specific areas, meaning that your devices receive the maximum bandwidth, targeted in the direction they are at. 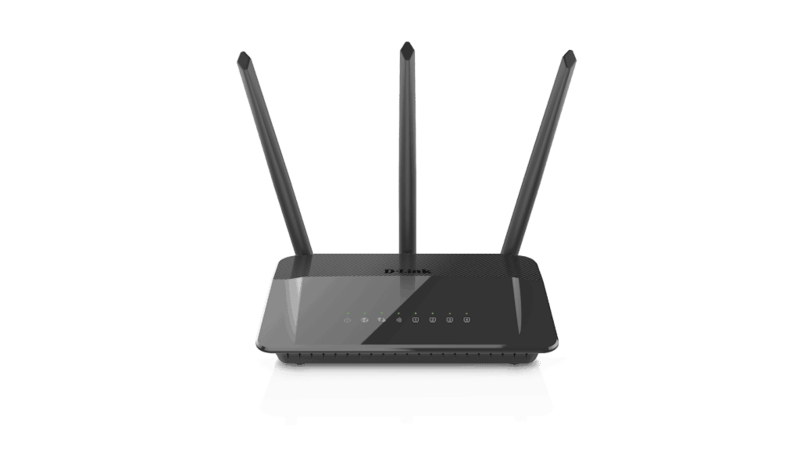 When comparing the D-Link DIR-859 to the Nighthawk, they look like very similar routers in terms of bandwidth, QoS, and more. However, while very similar on paper,the DIR-859 comes in at $20 less than the Nighthawk. Bandwidth mirrors the Nighthawk though, with bandwidth totalling 1750 Mbps, 450 Mbps segmented for the 2.4Ghz band and 1300 Mbps slotted for the 5Ghz band. Where the DIR-859 really differs from the Nighthawk(outside of price) is in range.The high performance amplifiers split over 3 antenna reach incredibly far, setting the DIR-859 to be one of the furthest reaching on this list. While a sacrifice is made in speed, the feature set and reach of the D-Link DIR-859 make it a fantastic value, worthy to be included in the best gaming routers under $100. Almost 1 Gbps on the 5Ghz band. The TP-Link AC1200 is not the most impressive router on paper, falling below every other router on this list. However, specs aren’t everything and the performance this router brings at only $60 is exceptional, especially considering the cost. The dual band design suffers significantly on the 2.4Ghz band, but that shouldn’t come as too much of a surprise. However, the 5Ghz band still delivers speeds up to 867Mbps, rivaling both the AC3200 and AC1750 at a significantly lower cost. The three antenna of the AC1200 provide much more coverage than the price would suggest, falling below the AC5400 and the AC5300, but coming into the same range as the AC3200 and the AC1750. While looking over the spec sheet won’t impress many, the AC1200 still delivers where it counts. The decent speeds can still accommodate most moderate internet signals, with enough bandwidth for casual online gaming. You may want to hold off on trying to jump into CS: GO with it though. Routers aren’t the first thing that comes to mind in gaming peripherals, and tracking down one for gaming can be difficult. The sure number of routers on the market, not to mention those not tailor made for gaming, is mind numbing. 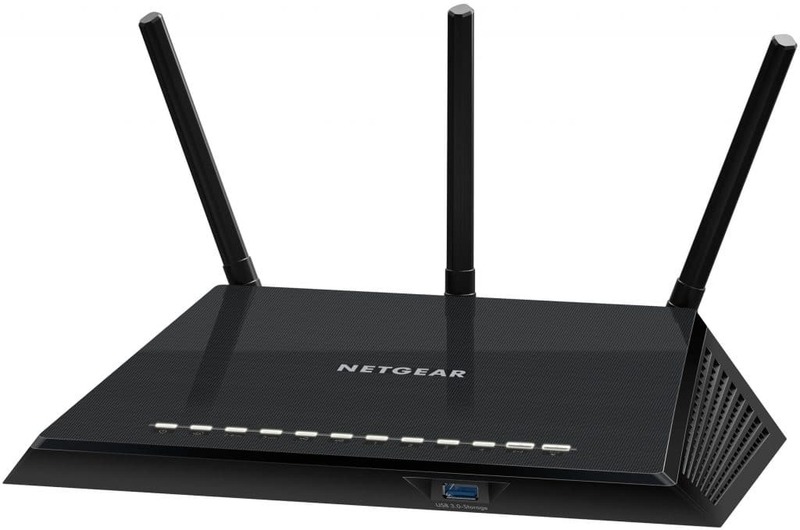 However, we looked and followed certain criteria to find the top 5 best gaming routers under $100 this 2019. The first and most important thing to routers when considered for gamers is the speed. We need fast speeds, not meeting the speed of the signal we have, but exceeding it (after all, future proofing is a thing). While every router on this list is at a different speed, every one of them provides total speeds of up to 1 Gbps in total bandwidth. While the AC1200 and RT-AC55U get close to this line, the rest of the routers exceed it with honors. Speaking of speeds, routers can significantly suffer when bandwidth is eaten up. With almost every modern device running through the same box, segmenting a band out specifically for gaming is important. For that reason, each of the options on this list had to be at least dual band. This configuration ensures that a clear band is left just for gaming, delivering full speed to your device and not choking your gaming experience. While it should be an expectation for every router that is produced now, not every single one contains even a single gigabit LAN port. Because of that, each of the routers on this list feature, at minimum, 4 gigabit LAN ports. This ensures that, when going wired, the actual connection isn’t going to throttle your speed, ensuring games run buttery smooth online. It seems obvious, but the difference between fast ethernet and gigabit LAN isn’t the easiest to discern. There are ton of routers out there, a lot of them not justifying their price whatsoever. Furthermore, finding routers that are high bandwidth to meet the needs of online gaming can be a challenge. 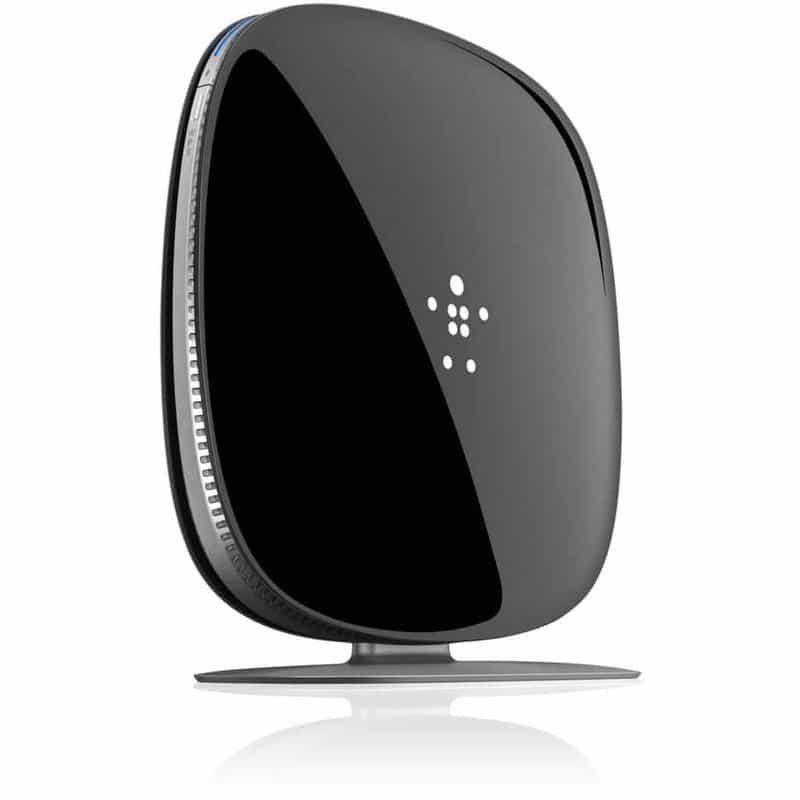 However, digging deep enough, many routers pop up that can accommodate gaming online for a relatively inexpensive price. While not at the top-end, all of these routers provide at least 1 Gbps of bandwidth. Price and specs, the Tenda AC18 comes out on top of this list without question. The nearly 2 Gbps bandwidth, dual-core processor, and exceptional coverage make this router an excellent choice at only around $75. Sometimes, however, spending a little bit more money can bring value outside of the spec sheet. While the TP-Link AC1200 provides lower overall bandwidth, the price is significantly cut, making an excellent choice at the price. Overall, it comes down to preference and the needs of you in particular, but these are our top 5 picks for the best gaming routers under $100.